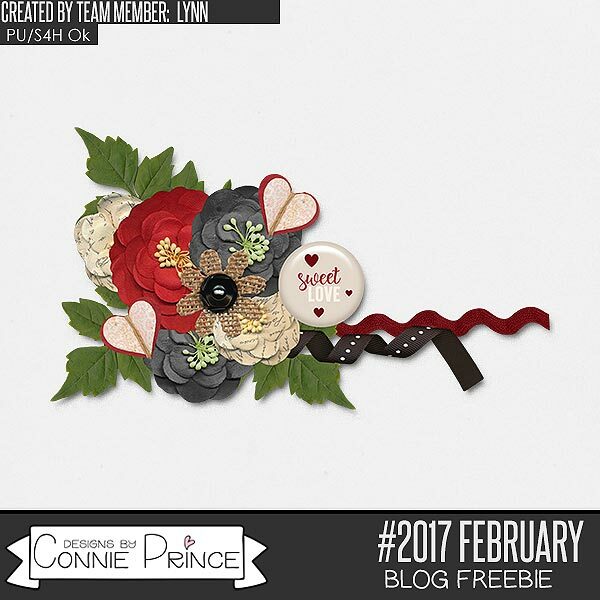 Connie Prince Digital Scrapbooking News: Happy Monday!! Hi everyone! Connie here with the Monday post this week! The blog game winner for the week is Laurie Q. Laurie check your email for your coupon code prize. Stay tuned for a new game on Wednesday! First up, there are a ton of classic products retiring at the end of February - packs are on sale through 2/28/18 - be sure to stock up before they are gone! 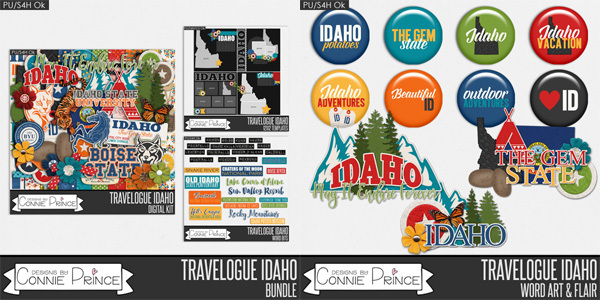 There is still a few days left to grab this week's new release - Travelogue Idaho on sale! 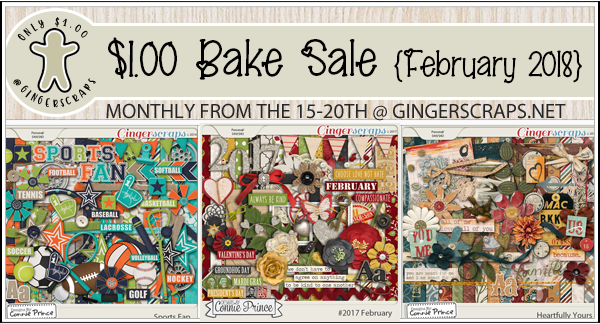 February Bake Sale ends tomorrow! Here is today's free gift!